Arrival images of Fat Chance Row during the Inaugural Great Pacific Race in 2014. 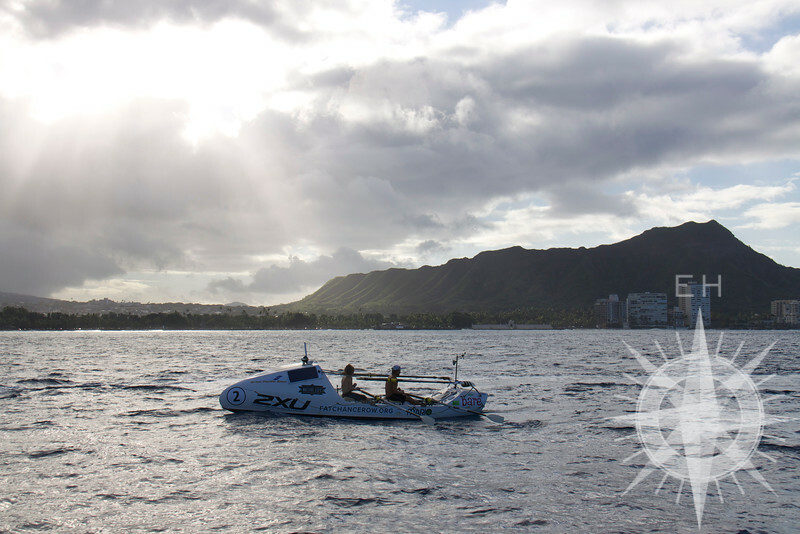 Teams rowed from Monterey, CA to Waikiki, HI. Entries are now being accepted for the 2016 edition of this race. Visit http://www.greatpacificrace.com for more information.